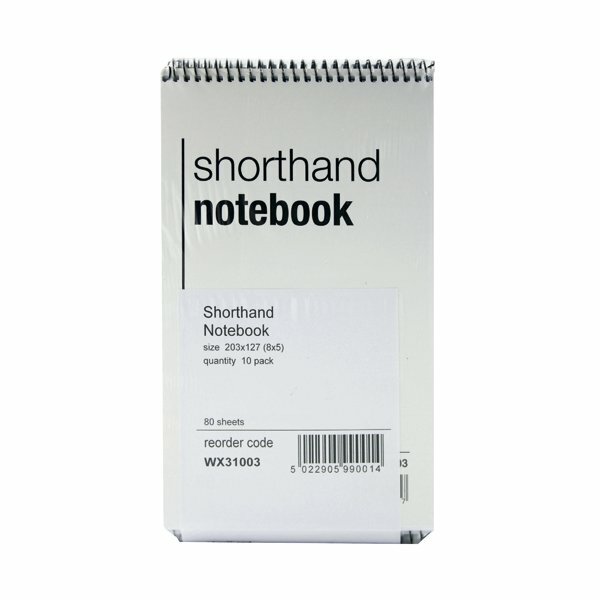 This shorthand notebook contains 160 pages of feint ruled paper for neat note-taking on the go. 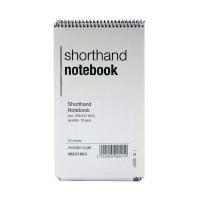 The spiral bound notebook measures 203 x 127mm. This pack contains 10 notebooks.